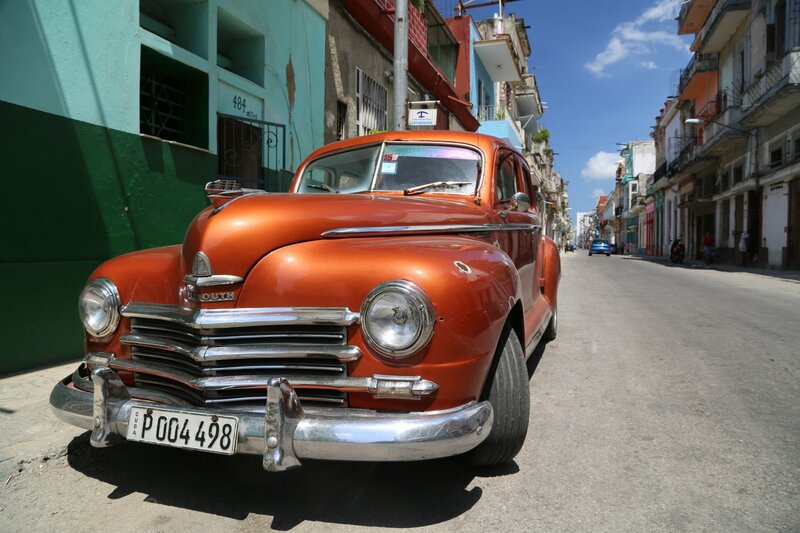 To fully discover Havana both old and new, we decided to explore the city in two stages. In the morning, we would explore the new part by auto and in the afternoon roam through the old section by foot. 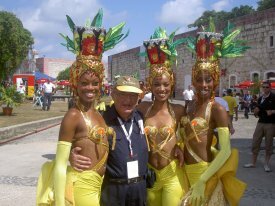 I had visited Havana numerous times before, but I had not truly discovered the city. This time it was to be different. 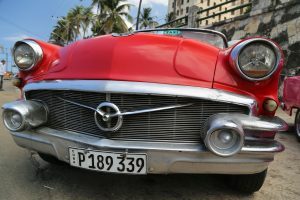 We began our exploration of Havana by car in the Miramar district, with its foreign embassies and plush hotels, in the new city. We drove through the, wide tree-lined avenues, rimmed by cinemas, clubs, restaurants, theatres and bustling modern villas set in charming gardens and high-rise offices. These led to La Rampa, the mercantile main street and centre of culture, shopping and fine residential abodes. Here, we stopped at Coppelia Cuba’s huge and famous ice-cream outlet, the largest ice-cream parlour to be found on the globe. After standing in line with other tourists and Cubans, I finally was able to taste what the Cubans claim to be the best ice cream in the world. It was a good product, but the best in the world? I doubt it! At the foot of La Rampa, we drove on the Malacon, a broad meandering 7 km (4.3 mi) seaside avenue edged by the ocean on one side and by run-down buildings on the other, some of which, featuring a fantastic collection of architectural styles, are being restored. We stopped by the fortress Castillo de la Punta to view the opposite side of the harbour the venerable Castillo de los Tres Reyes del Morro – one of the mightiest Spanish defence fortresses built in the New World. The cross fire of these two forts saved Havana numerous times from pirate raids. From this seaside avenue, we made our way to the Plaza de la Revolution where Castro often addresses thousands of his countrymen. Here, we examined the huge obelisk with a sculpture honouring Jose Marte, the hero of Cuban independence, then left to visit the nearby impressive Cementerio de Colin with its superb marble tombs. Back on the Malacon we drove back to Old Havana, to glory in its architecture and history. To study the history of architecture in the Western Hemisphere there is no better concentration of structures than La Habana Vieja (Old Havana), founded in 1515 and oozing with history and grandeur. One of the most ancient urban centres in the Western Hemisphere, this part of town is a carefully restored monument to the history of the city. One of the first urban centres created by the Conquistadors it is a wonderful mix of colonial homes -16 of these converted to small quaint hotels, charming plazas, 36 museums and other places of historic interest. In between and housed in these structures the area is saturated with a variety of bars with Cuban entertainment, art galleries, hotels, libraries, offices, shops, cafes and restaurants offering traditional and international foods. 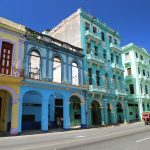 Known to the Conquistadors as ‘Queen of the New World’, Old Havana is a remnant from Cuba’s colonial era – a jewel of Spanish colonial architecture. UNESCO has declared this 4 sq km (2.5 sq mi) area with its narrow streets, secluded squares, impressive fortresses and centuries-old churches, edged by ancient palaces a World Heritage Site. On an on-going basis, its 907 colonial palaces and over 100 other monuments are being gradually restored. Travellers can easily see that this ancient part of the city is being returned to its once renowned architectural splendour. 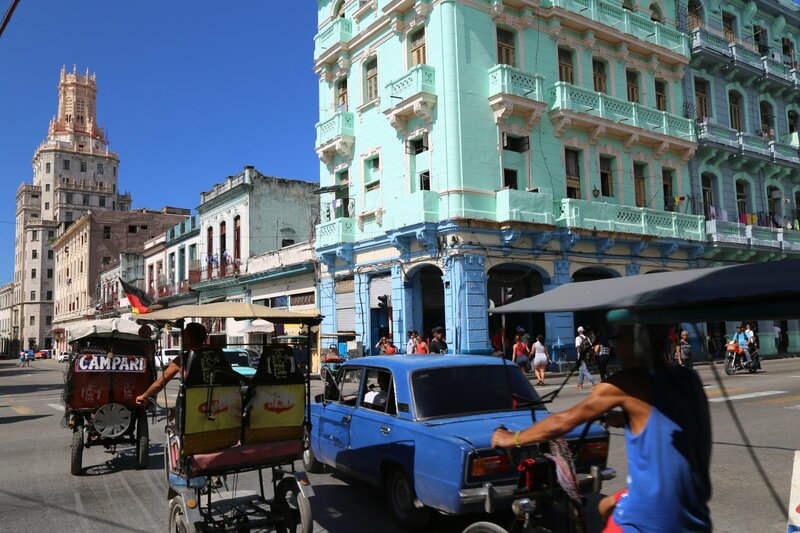 Today, Havana has greatly expanded beyond its historic section. 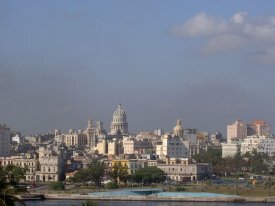 A city of 2.7 million, it is the largest urban centre in the Caribbean, containing one quarter of Cuba’s more than 11.5 million inhabitants. 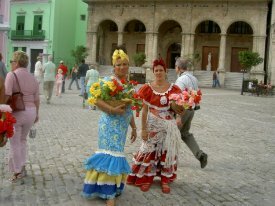 Yet, what comes to mind when one thinks of Havana is its colonial heart, throbbing hub with tourists and life. One must walk through this venerable section to discover it in all its glory. We began our walking tour at the Plaza de San Francisco de Asis, named after the edging church/convent, dating back to 1738. This structure is one of the most important of the historic sites in Havana. A connecting special hand dug 11 km (6.8 mi) long aqueduct – uncovered in part for tourist eyes, once brought in water for the church and ships docked nearby. The end point of the aqueduct is the Fuente de los Leones in the square. Decorated with four lions, it is an exact copy of the lion’s fountain in Granada’s Alhambra palace in Spain. Opposite the church, now famous for its large concert hall, stands the impressive former stock market building and edging the square on one on side is the impressive Cruise Terminal and on the other side are 17th and 18th century houses, now fully renovated. Some travellers consider this plaza, usually filled with tourists, the most beautiful in Havana. After leaving behind two ladies with flower baskets selling a $1. kiss on the cheek or a picture with a tourist, we turned to walk on the narrow Calle Teniente Rey bordered by renovated ancient structures. “Oh! This reminds me of Spain!” An English woman passing me remarked. Apparently she did not know that Havana was once the headquarters’ of the Spanish fleet and one of the most important Spanish possessions in the New World. A few minutes walk and we were in Plaza Vieja, impressive in its historic mansions, bordering the square on four sides. With the exception of one structure, all the remainders were renovated in tasteful style – no doubt even more attractive than when they were newly built in the 18th century. The plaza is unique. Unlike any other in the city, no religious edifice or important government building look down unto the square. From Plaza Vieja, we walked along this narrow street bordered by many renovated old homes featuring eye-catching architecture. It appeared to me that Old Havana was being re-born – a 16th century city living in the 21st century. Another 5 minute walk and we reached Plaza de Armas – Havana’s oldest and most important square. It is surrounded by plants and lined on all sides by marble benches and gas lamps, lighting the square. The plaza is full of second-hand books for sale. Day and night the square attracts a whole host of people, many of them attracted by the surrounding restaurants and bars. The Plaza is bordered by important structures. Across from the Baroque style Palacio de los Capitanes Generales, now housing the City Museum exhibiting antique furniture, stands “El Templete”, resembling a temple, on the spot where in 1599 the city of Havana was founded. Beside it flourishes a ceiba tree, once considered sacred by the aboriginal people. Next-door is the Castillo de la Real Fuerza with the top of one of its towers capped by La Giraldilla, the Symbol of Havana. Somewhat tired, we walked a few feet to the Casa Arabe complex to dine at its Al-Medina Restaurant. 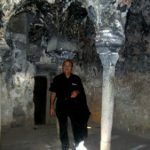 The Casa, built in traditional southern Spanish dwellings, inspired by the houses of Damascus, is a stopover on the agenda of numerous city tours. 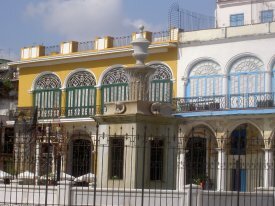 It is a complex of a museum reflecting the Arab immigrants to Cuba and a small mosque, as well as the adjoining same type home housing the Al-Madina and Alfizar Restaurants. The Casa Arabe is a well-known landmark to the inhabitants, especially to the city tour guides. Some years back when the Mosque was being built our tour guide stopped at the Casa Arabe and turned to us saying, “I don”t know why they would want to build a mosque in this country filled with pork, rum and semi-naked women.” In Cuba people can joke about each other. 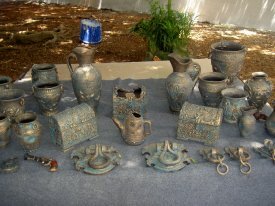 The Arabs, like other a number of other immigrants, are considered to be one of the founding races of the country. Refreshed, we walked for a few minutes from the Plaza de Armas, to the Plaza de la Catedral (Cathedral Square) – a very important tourist stop. The Square, one of the most authentic and best-preserved squares in Havana is a charming and monumental place, called the soul of Havana. 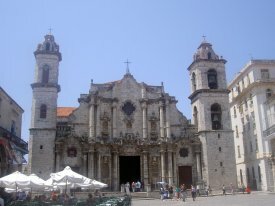 The Cathedral, one of the most beautiful baroque falades in all of Latin America is Havana’s historic site par excellence. The plaza is also bordered by Museo de Arte Colonial house in a colonial mansion, and opposite the Cathedral the historic Casa de los Condes de San Fernando de PeZalver. 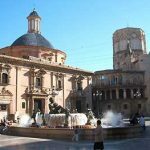 The square is always filled with tourists, many dining in the edging El Patio Restaurant or stopping before shopping in the next-door handicraft market. We ended our tour at Central Park on the edge of the first major expansion of old Havana. We rested in this oasis of greenery then explored the nearby eye-catching Gran Theatro de la Habana and the Capitillo, a replica of the US Capital in Washington that was built in the 1920s when Cuba was totally under US influence. As I sat in the park to rest I thought about our half-day walking tour of old Havana. It had been a fulfilling experience, exploring the structures of grandeur from the days of yore, especially those beautifully restored. What impressed me this time in Havana were not only the restored structures but also the virtual absence of tenacious sidewalk vendors, amateur robbers, beggars and pestering children, which only a few years ago infested the streets of the old city. The people appeared to be better off and the authorities have cleared the streets from these once aggravating annoyances. I came away with an impression that Cuba has a rich historic past which now visitors from the four corners of the globe can explore with ease and enjoy. 1)Cuba has become for tourists much more expensive. It is best to take an all-inclusive package offered by most hotels. 2)For transportation, in Havana take taxis. They are the best way to get around. Rental cars are expensive – around 50 to 80 CUC a day and up and gas is around .75 CUC a litre. 3)In spite of the shortages, all of Cuba is still safe, thefts are rare and tap water is drinkable, even in the villages. However, for tourists to feel safe, they should drink bottled water, found everywhere. 4)The best buys in Cuba are rum and cigars. Beware of black market cigars – often they are not authentic. Seven-year old Havana Club is the top rum in Cuba. It is smoother than brandy and sells at around 12 CUC a bottle. 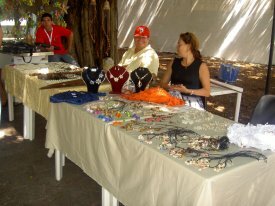 In Havana, the best place to buy Cuban souvenirs is at Handicraft Markets like the one near Plaza de la Catedral. 5)Cubans are appreciative of gifts, especially soap, English-Spanish dictionaries and all types of clothing – new and used. 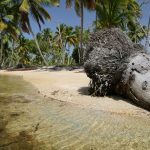 6)The best time to travel to Cuba is from December to the end of April – the dry season. 7)For reasonable sightseeing take Hop-on/Hop/off buses found in all major cities and beaches. 8)Remember to keep 25 CUC for the departure tax. Visitors to Cuba must use convertible pesos (CUC – at present 1 CUC = $1.10 Canadian or .70 Euro. The Cuban peso, which can only be used by tourists to purchase such products as fruit and vegetables, converts at about 1 CUC to 25 pesos. Food in most ordinary Cuban restaurants is quite dull. 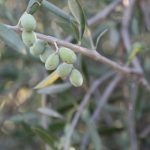 An average meal for tourists costs from 12 to 15 CUC. Visitors should try the main Cuban dish, Rice and Black Beans – very tasty if spiced. Some good restaurants to try while in Havana are: Floridita Restaurant, famous as Hemingway’s haunt; Eljibe Restaurant, serving large groups; Yeasmin Restaurant, noted for its Arabic food; and for the epitome of meals try Hotel Nacional where for about 60 CUC the best food in town can be had. Havana’s most renowned nightspot is La Tropicana built in a grotto of royal palms. It features a spectacular extravaganza of lavish scenery, dancing and sumptuous costumes – cost 65, 75 or 85 CUC, depending on the seat. However, there are other cabarets like the Parisian at the Nacional Hotel that costs about half the price of El Tropicana. Note: All the prices quoted are in CUC pesos.